The impression that remains after an initial exposure with an image or series of images relies upon a persistence of vision, evoking the unique sensorial ability to hold on to the perceptual remainder of image encounters. 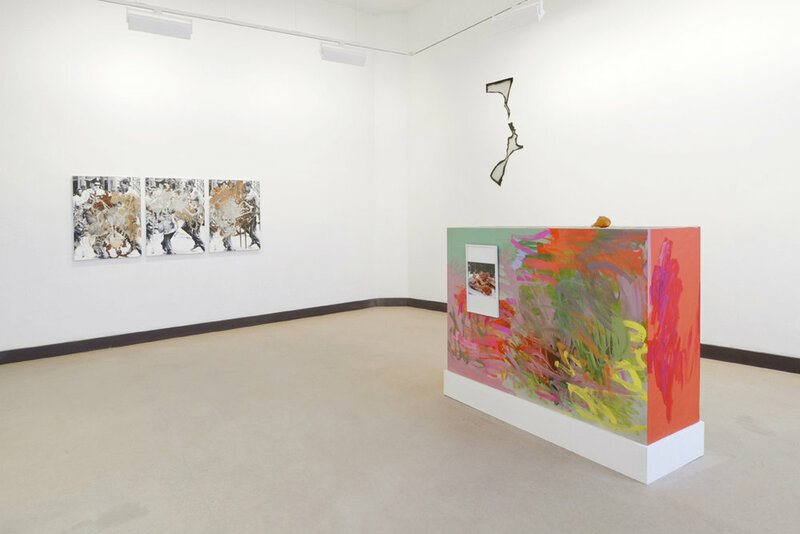 This group exhibition of recent American art focuses on how artists re-order, re-sequence, and shift emphasis in the wake of associations and references that arise in looking at and responding to the surfeit of images and image-objects in contemporary culture. Context, source, and circulation are implied but often secondary as the associative nature of image sequencing is increasingly brought to the forefront. Archival and historical settings exist alongside critical approaches to popular iconography and displacements of persona and abstraction that complicate the critical heritage of appropriation often associated with contemporary American art. Extending across artistic mediums into painting, sculpture, film/video and photography, the exhibition includes selected works from many of the finest collections of contemporary art in Belgium.